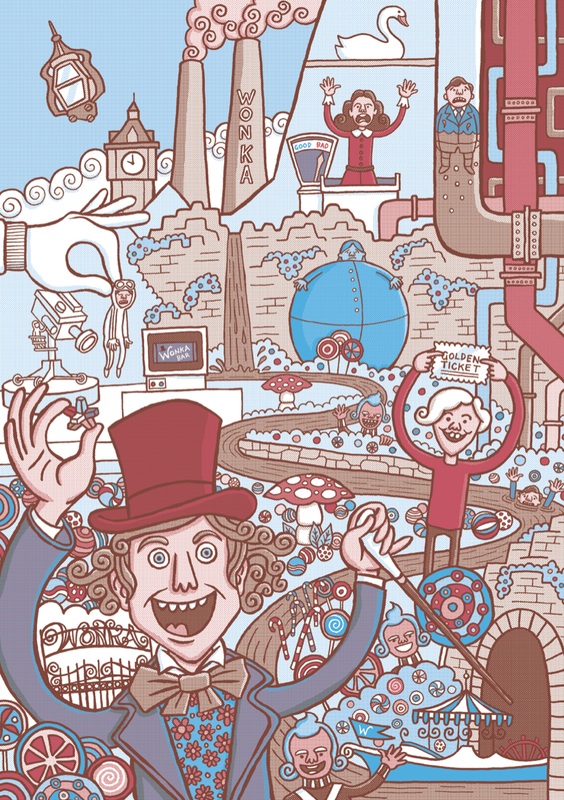 Illustrated Charlie and the Chocolate Factory print featuring Willy Wonka by Elliott Quince Thought I'd repost my Charlie and The Chocolate Factory illustration after seeing the new cover design here on the Creative Review blog. Not entirely sure that I like the new photographic cover but then I suppose Willy Wonka was a bit dark so it kind of suits it. Anyway, here's my effort featuring Charlie Bucket and the rest of the kids meeting their eventual fates.